Our daughter starts kindergarten this year. As much as I feel like it was only yesterday that she was a tiny baby who never wanted us to set her down, I know that she's not that baby anymore, and she's ready to spread her wings a little bit. The weight of the responsibility of giving her those wings to fly rests heavy on our shoulders these days. 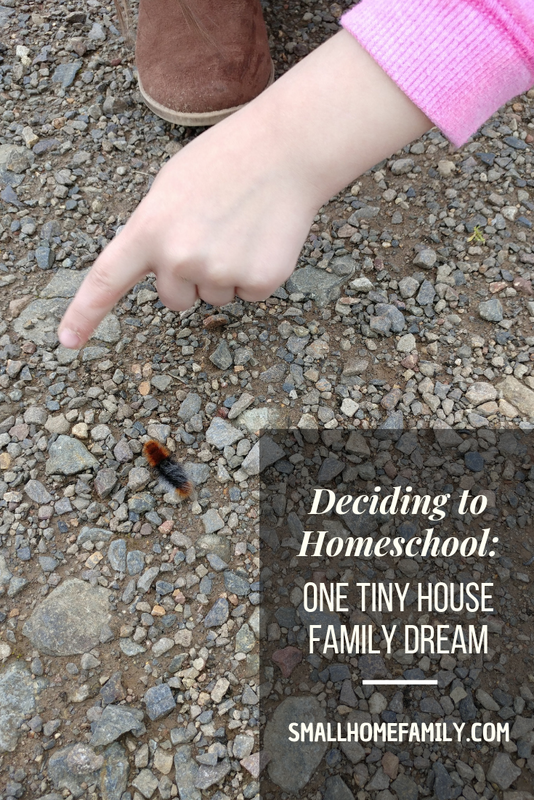 Like so many families who live in tiny houses with kids, we've chosen to homeschool our daughter, and that decision is not one that we've entered into lightly. In fact, when we first got married, Chris and I were absolutely sure that we would never homeschool our children. Ha! Chris and I met during our senior year at a private Christian high school, but prior to that, our respective educations had followed very different paths. He was homeschooled for most of his childhood. I was a private school kid from start to finish. At times we both wished for different opportunities, but in the end, we both received fantastic educations and our respective paths ultimately led us to each other, and we have few regrets now. 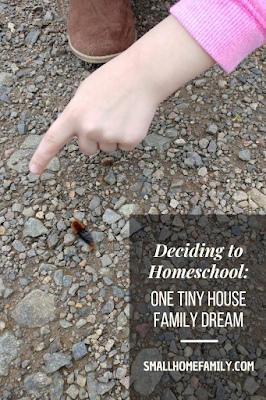 Early in our marriage, though, we struggled with the idea of homeschooling our own kids. I can speculate on what our reasons were at the time, but the truth is that the passing years have hidden them in obscurity, and I just don't remember why we fought the idea for so long. Our path to parenthood was a very rough one, and our attitudes changed as our plans for the future were reshaped in ways we couldn't anticipate. We spent six years dealing with infertility and dreaming about someday, and by the time our girls were born, we honestly had a hard time imagining sending them away from us for hours and hours every day, even for such a noble reason as providing an education for them. Perhaps it is selfishness on our parts, but we really do like having our children near to us. The longer we have lived in a small home and the more our beliefs about the benefits of tiny house family living have evolved, the more we've realized that educating our children at home feels like a natural extension of everything that's important to us as tiny-house dwellers. 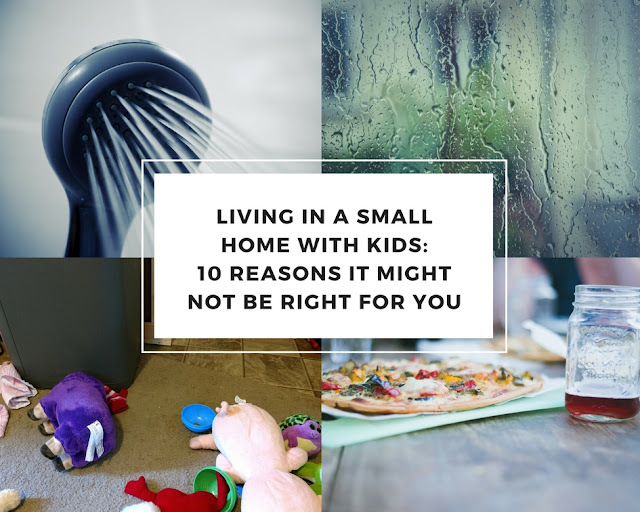 We value the closeness that our living situation provides for us, and suddenly being apart from our five-year-old for much of the day feels extraordinarily antithetical to that. One thing we have never struggled with is the idea of homeschooling as a valid means of educating one's child. With Chris's history to draw from, we know for a fact that homeschooling works. Chris has so much firsthand experience being homeschooled himself, and my mother-in-law has a wealth of knowledge on the subject. 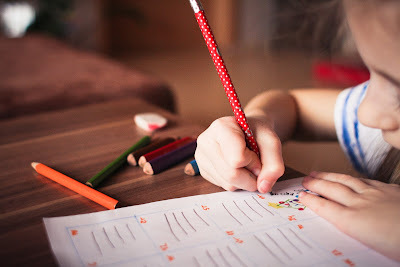 We live in a very pro-homeschooling area, and choosing this option has never seemed particularly unusual or unattainable. Having that background has made this decision an easier one for us than it may be for other families that choose to homeschool. We still have our doubts, though. I wonder sometimes if maybe it would be a nice change to be able to send our kids off to school each morning and have the house to ourselves. Would we be better parents if we had more space to breathe apart from the daily stress of caring for each one of our child's needs? It's questions like these that make me nervous about the direction we're heading sometimes. 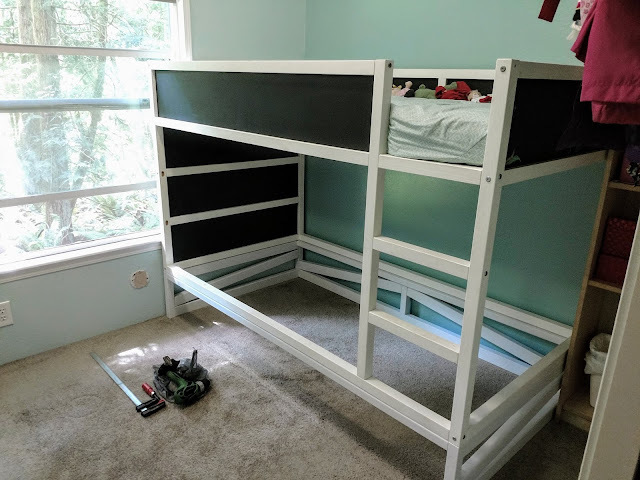 I also worry about finding room for all of the homeschooling supplies that we might accumulate over the years. 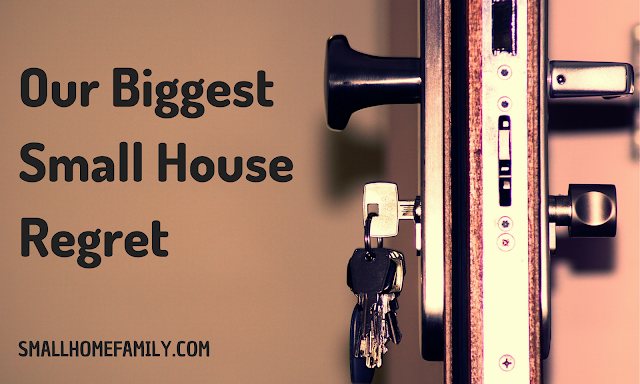 Some curriculum comes with many parts, and storing it in a tiny house seems daunting at times. Then I wonder where we'll do lessons, if we do lessons at all. We already have a science kit that we like to pull out occasionally to do experiments, and our little dining table works for that for now, but what happens when the experiments get more complex? What if both of our children need room to spread out at the same time while doing different things? My best answer is that we'll figure it all out as we go along. That's been our policy so far, and it's worked out pretty well. Perhaps our biggest fear is that we just won't be enough. Chris and I are reasonably well educated people with bachelor of science degrees and double majors as well as minors in various subjects. We love to learn and keep more or less well informed on advances in science and technology and current events. As far as having the required knowledge to be able to teach our children the things they will need to learn, we are qualified enough. But being solely responsible for making sure that all of the skills and knowledge we have are transferred to our daughter is a scary thing to think about. What if we can't handle it? What if we miss the mark somehow? Of course there are ways to mitigate this danger. Regular low-stakes assessments are after all required in our state and should give us a decent (if incomplete) picture of how she's progressing. And if it's not working out, we have other options at our disposal, whether that is the school I attended or our district public school, which is well ranked in our community. We feel strongly that she will thrive with the attention we can give her at home. Sunshine is such an amazing child, but she hardly represents the typical student that thrives in a structured classroom environment. She is bright and incredibly self-motivated to the point where we can barely keep up with her most days, and she desperately wants to learn so many things. But having to fit into the mold of a certain type of child in order to do well in a classroom could well hold her back from achieving her full potential, and this is something that we have given a lot of weight to in our decision-making process. She is so incredibly social, though, that we feel it is imperative to give her ample opportunity to interact with others in a much lower stakes environment. Giving her the space and freedom to feel safe as she begins to spread her wings and be brave is perhaps as important to us, if not more so, than any academic gains she will be making at this juncture. We are incredibly thankful that we have a homeschooling resource center available to us where we can pick and choose classes that interest her and that will open up worlds of social interaction to her without throwing her off the deep end of full day kindergarten. I am excited to see her grow, and having the freedom to do so gently and with our constant support is an amazing opportunity. 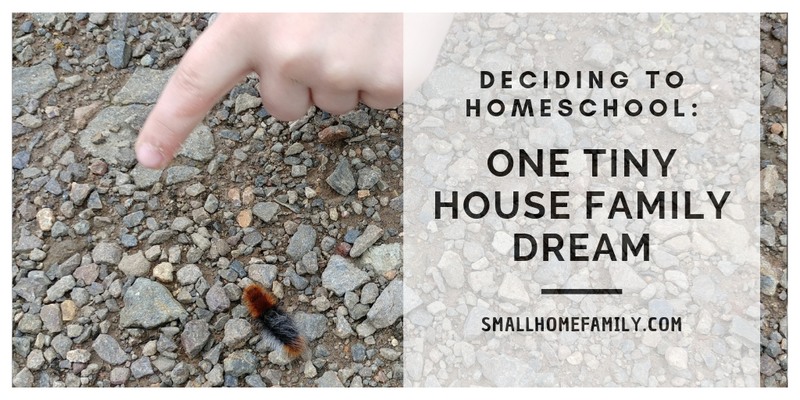 Knowing that homeschooling is our plan for the immediate future, we have spent Sunshine's preschool years being students of our own child. We have observed and experimented and taken notes on her learning style and what motivates her as a unique individual. We've discovered methods that do not work well for teaching her as well as situations in which she thrives and learns so much. She is such a highly self-motivated kinesthetic learner (but not extrinsically motivated at all) that few curriculum options really seem like a good fit for our wild and crazy child who has always marched to the beat of her own drum. And in an effort to find her best path forward, we have given relaxed unschooling a fair shot this past year. To my surprise and utter amazement, she has flourished. It seems like such a radical option, but the sheer amount that she has learned by simply exploring her own interests and us doing our best to keep up with her cannot be denied. I don't know if we'll continue with unschooling indefinitely or slide more into a relaxed homeschooling style, but for now we feel privileged to be able to follow her lead. Having the time and ability to help her spread her wings is a luxury that I don't take lightly. I dream of going so many places with her and learning so many things. I'd love to visit mountains and oceans and deserts. To learn about the stars and time and money and history and music and art. To read whatever great books she'll sit still to hear. To follow her passions wherever they take her. 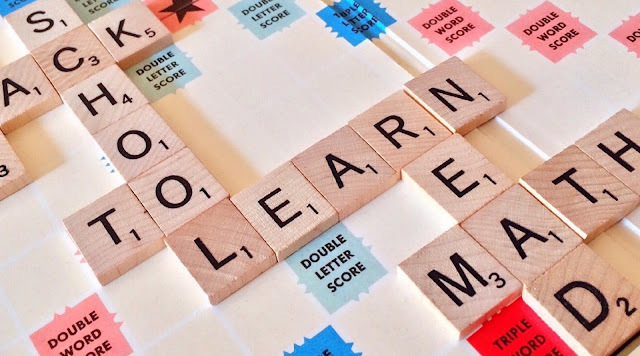 We have another little preschooler coming up soon, and I am both eager and nervous about starting the learning process all over again as we do our best to understand her unique learning style and personality as well. I wonder how we'll teach them both together if they turn out to be as different as I suspect they are. But I'm excited about all of the things we'll get to learn together as a family in whatever form that takes. In the end, we face such a wide range of emotions about this decision, but we are steadfast in our belief that it will all be worth the effort in the end. Teaching our children and passing along everything that we ourselves have learned is such a privilege. Instilling in them a desire and ability to learn and grow for the rest of their lives is our ultimate goal, and we are excited and scared to be such an integral part of that. If you are homeschooling your own children, we would love to hear from you! Respond below or visit our Facebook page to leave a comment! Don't forget to follow us on social media and sign up to receive updates in your inbox! Visit the main menu/sidebar on our homepage to subscribe!